A fun batch of pretty good looking posters this week. As usual my friend, Bubbawheat (from Flights, Tights and Movie Nights) and I both share our thoughts on the movie posters recently released. These silent movie promoters are the results of the creative brainstorming of some talented (most of them) artists and sometimes can be even more thrilling than the movie they are advertising. TheFocusedFilmographer– A fun mix of posters this week. A few things I’d like to point out before naming my favorites. I found myself at first annoyed at Riddick‘s poster, but then started to like it as it does highlight the one guy whose trademark is seeing in the dark. It works. I also like the cloud “wings” behind Katniss in the Catching Fire poster. 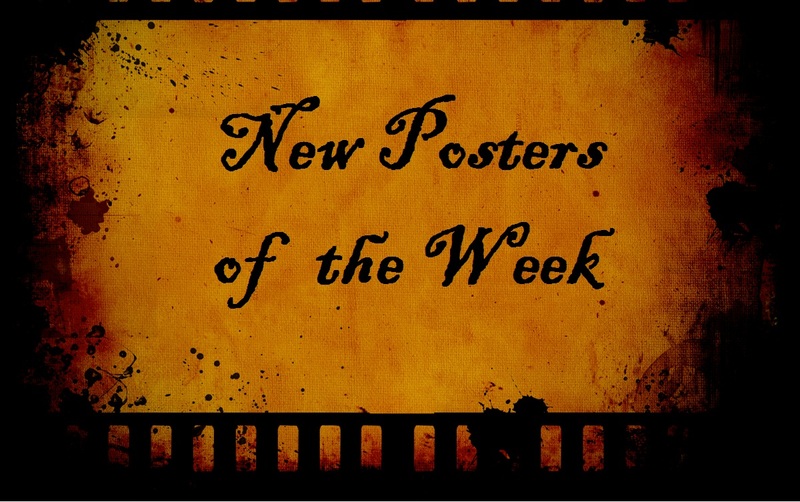 The subtleties of this week’s posters have my attention. However, some seem rather lazy…like About Time whose poster does nothing to implicate the title or the plot. Despicable Me 2 promises some of the same villain/minion action as the first and thus is in my list of faves of the week. Along with the second Man of Steel (him flying straight up) poster (I’m actually not a fan of the other one), The Last Passenger and I, Frankenstein (just because it maybe reminds me of Underworld. haha). Bubbawheat– I gotta disagree with you on the I, Frankenstein poster, it looks like a rehash of the Star Trek Into Darkness and several other similar posters with a lone figure inside a silhouette cutout. I haven’t seen any of the Riddick movies, but that poster makes him look pretty bada$$. I agree that several of them look pretty lazy, I’m not getting excited about Turbo at all, and what’s with that weird look on Bonham-Carter’s face in the Lone Ranger poster? I’m not fond of the Man of Steel poster with the bright spot, but really love the one with him flying straight up. Finally, this is the first I’ve seen about Rapturepalooza, and while that name is horrible, I’m a little curious about what looks like some deal with the devil movie that can sometimes be fun. Next Movie News Monday for May 20, 2013. Helena Bonham Carter is in Lone Ranger? Well, now I really dont want to see it. I like the Superman flying up poster, and the Hunger Games is quite good as wlel. I’m with you on the other posters you like. Thanks for checking them out man. I actually thought the I, Frankenstein poster was another one for Star Trek at first. Love the painterly look on Catching Fire. August: Osage County‘s poster errs too far on the side of minimalism. Turbo continues to look lame. And it’s not a good sign for About Time that the poster is designed to emphasize the creators’ previous films more than the title of the current film. Also, there needs to be a court order forbidding Johnny Depp and Helena Bonham Carter from ever working together again (and Tim Burton, but he’s not relevant to this particular film). It’s just really lazy casting at this point, and that film already suffers too much from that by using Depp in the first place. I will admit that when I come back to this post…each time I think I, Frankenstein is for Star Trek. it’s true. Turbo does continue to look lame. Good point about About Time. Yeah…I’m not feeling that one. Poor Helena Bonham Carter…haha. and she did so well in The King’s Speech. Riddick poster looks good. Trailer…not so much. Lady Sati! Thanks for stopping by and checking out the posters. I’m curious how Elba’s interpretation of Mandela will show up on screen.